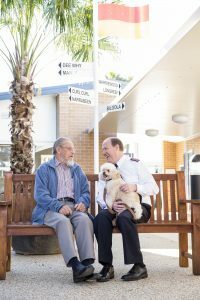 The Salvation Army Aged Care Plus has celebrated the official launch of the ‘Butterfly Household Model of Care’ at its Centre on Sydney’s northern beaches. The Elizabeth Jenkins Place Aged Care Plus Centre in Collaroy has become the Salvation Army’s third site to roll out the internationally award winning dementia care model, the ‘Butterfly Household Model of Care’. Developed, pioneered and operated by UK based Dementia Care Matters, the Butterfly Household Model of Care challenges the traditional clinical approach to care, shifting to a person-centred model, empowering residents to live life their way. The model promotes relaxed, unscheduled days, and homely environments, allowing residents to openly express their feelings and desires and participate in activities they are interested in, at a time convenient to them. 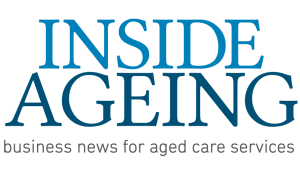 Aged Care Plus was selected as the first Australian provider to launch this revolutionary model of care in July 2016 at The Cairns Aged Care Plus Centre at Chapel Hill, Queensland and at Mountain View Aged Care Plus Centre in Narrabundah, Australian Capital Territory. Since the pilot of this model at these two residential aged care centres, Aged Care Plus has seen the quality of life, health and wellbeing for residents living with dementia significantly improve. 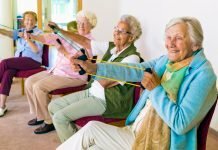 There has been an 81 per cent reduction in falls at The Cairns Aged Care Plus Centre at Chapel Hill and a 70 per cent reduction in falls at Mountain View Aged Care Plus Centre. 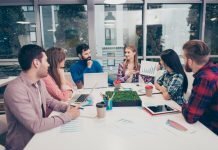 Reports have also shown a reduction in expressive behaviours, and a decrease in the number of residents who require psychotropic medication. 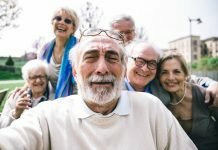 Peter Bewert, Aged Care Plus Executive Manager for Care Services, Governance and International Relations said the model quantifies the importance of emotional connectivity for people living with dementia. Special guests helped celebrate the launch of the model, including CEO and Founder of Dementia Care Matters, Dr David Sheard, Mayor of the Northern Beaches Council, Michael Regan and Councillor Sue Heins.